Ahhh, those were the days. Homemade robots. Giant remote controls. The kind of naming system that would have been right at home in an old school wrestling ring. 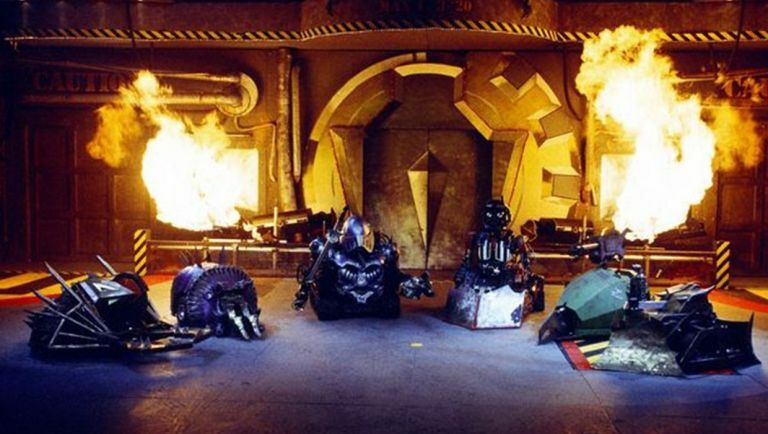 Robot Wars was an institution once up a time, complete with flamethrowers, giant axes and an overexcited Lister from Red Dwarf - well, it's time to dust off your favourite rhymes because the BBC is resurrecting Robot Wars for a new generation. The show, which originally ran from 1998 to 2004 on a variety of channels, is set to return with a new look and a specially-built arena in Glasgow that's, "literally bullet proof," - meaning fans can get closer to the action than ever before. Scottish production company Mentorn Scotland has been commissioned by the BBC to create the new series, and while both firms are keeping the details of the show close to their chests at the moment, we wouldn't be surprised to see some old favourite from days of mechanised yore return to fold. Matilda? Sir Killalot? Mortis? Honestly, we're so excited.